The National Association of Itsekiri Graduates, NAIG is poised to tackle the challenges confronting Itsekiri Nation as minority tribe in today's Nigeria, Fresh Angle International can report. This much was revealed by President of NAIG Worldwide, Comrade Collins Edema in a statement made available to newsmen in Warri, Delta State, Monday July 9. According to Collins Edema,as part of efforts to address the way forward for Itsekiri Nation, this year's NAIG Convention which will hold Saturday July 14 at Ojoye Eyewuoma Hall, Esisi Road, Warri by 10:00 am,has as its theme, "The Itsekiri Nation: Challenges of a Minority Tribe in Nigeria". The convention,which is 21st in the series, will feature Air Vice Marshall Terry Okorodudu as Special Guest of Honour and it's the climax of the annual event preceded by the inauguration of Asaba chapter of NAIG, held Sunday July 8. Asaba chapter of the association is the second to be inaugurated by the current NAIG executive led by Comrade Collins Edema. In a remark during the inauguration of Asaba chapter of NAIG, Comrade Edema reportedly gave brief history of the association and stressed the need for regular meetings by members in order to preserve the Itsekiri Language as well as culture. 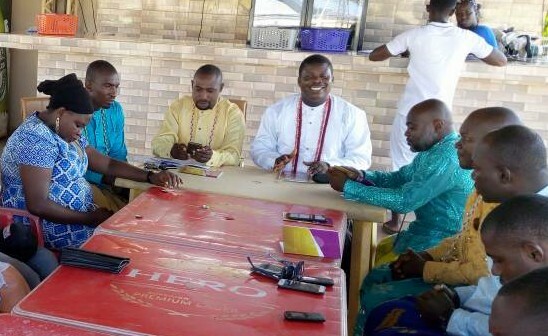 Fresh Angle International can also report that the newly elected executive of the apex Itsekiri graduates' body, will hold Saturday July 14 during the 21st convention in Warri. Meanwhile,the newly inaugurated NAIG Asaba executive are: Victor Etchie-Chairman,Tony Rewane-Vice Chairman,Tuoyo Ogholaja-General Secretary,Gbesinmi Edun-PRO, Mrs. Aboyowa Dorsu-Treasurer and Tosan Omatseye -Financial Secretary.